A company logo and its importance in promoting the business in the market cannot be denied. A company logo represents the concept and standards of the business in visual form to the clients and to other businesses. A well designed company logo helps in attracting clients to the business and enables the company to professionally represent its standards in the market. Therefore a company logo is very important for the business as it’s the only mean to leave the first impression on the customers. In business industry the first impression is considered to be a lasting impression, therefore most companies hire professional designers to create a striking and innovative company logo to characterize the business. The designing of a company logo is very important for any business. It is very necessary that the designed logo should be able to capture the imagination of the clients. Since the company logo would be used exclusively in every promotional campaign in the business, it’s very necessary that the logo has no flaws and is designed according to the specification of the business. The most important feature of a company logo is the implementation of color and shape pattern. If there is any dis-balance of colors or if the shape of a company logo is irregular, then the results could be disastrous for the reputation of the business. Therefore, it’s necessary that during the design of a company logo the designers are in full coordination with the client and the order and shape of the logo is agreed upon by the client. If the client is unclear about the color pattern and shape then they could take consultancy from graphic and logo design companies. This issue is very crucial as once the color is linked to the business and a particular shape pattern is applied, then it becomes the identity of the business. The simplicity of a company logo is the asset which is most successful in attracting clients. It’s not sensible to ornate the company logo unnecessarily as heavy colors and details repels the customer interest in the logo. Therefore a logo designer must come up with innovative and creative means to create simple logos which have the depth to attract clients and make an impact in the market. Totally changing a business logo is unprofessional and brings bad reputation to the company. However the company can slowly modify the business logo and bring changes to the design patterns in a manner which don’t seem abrupt and sudden to the clients. Need a company logo? Start here! 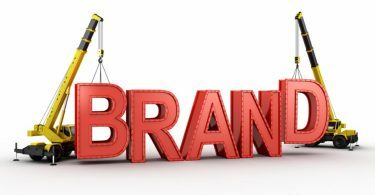 Why Do You Need a Strong Brand? What characteristics should company logos have? Why do you need a business card? 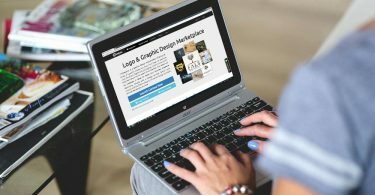 How to Choose the Best Logo Design?